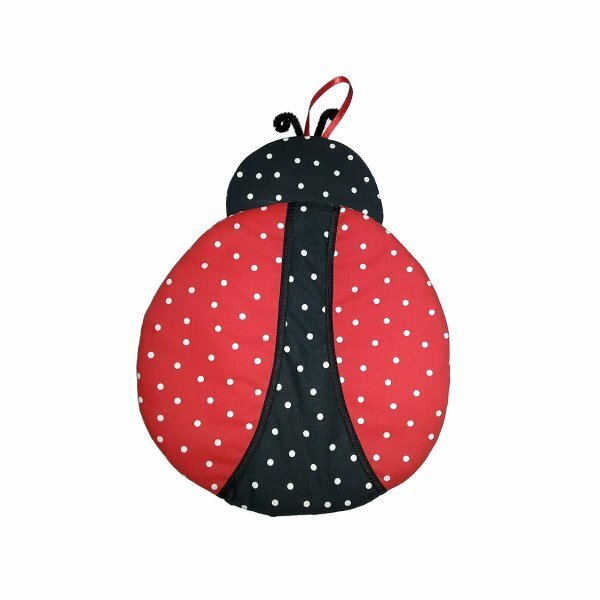 Lovely little ladybug will be an adorable accent in your child's room. Measures: 10 x 10. 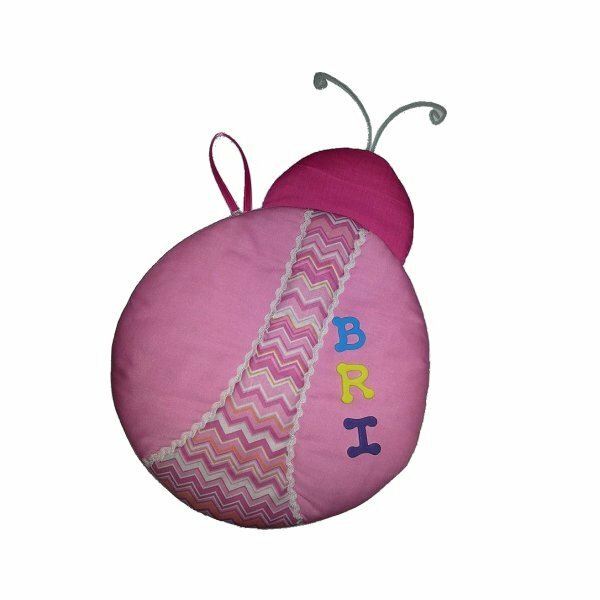 Our Ladybug Wall Design is personalized FREE (up to nine letters long). Ribbon is included for easy hanging. Fabric wall design is quilted with batting and foam and has unique details.